Luna has been confirmed by ultra sound to be in foal to Pretty Cool Steps (Grullo stud) for a 2019 foal. Pretty Cool Steps can be found on our website under the Stallions/Geldings tab. Foal will be 5 Panel N/N on the Disease Panel as both sire and dam are 5 Panel N/N. GH CHICK REVOLUTION aka Luna has been a wonderful addition. I just can't say enough good about this mare. She is absolutely stunning and has the brains to go with it. She has a fantastic dispostion and just handles everything so calmly. 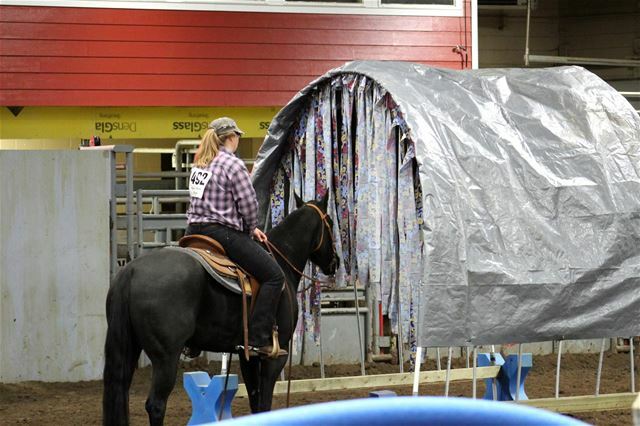 We have hauled Luna to a few different arenas for exposure and she has done amazing. 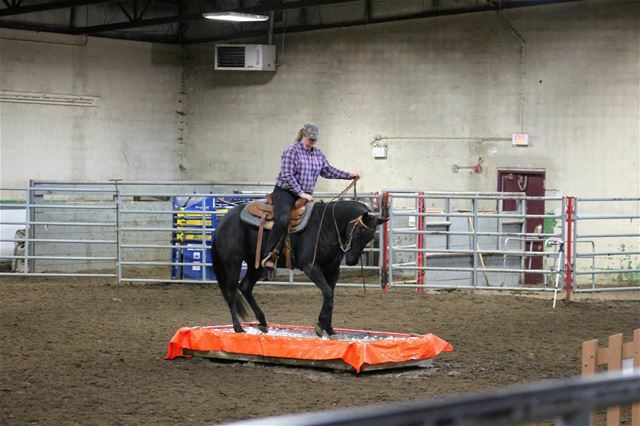 She is well started and has some reining basics. Luna is so willing and is eager to trust and try for everyone. We have been so impressed with her. We have had great success in the 2016 show season. In the fall of 2016 and early 2017 we introduced Luna to cattle. We started team sorting on her for fun and something a little different. As expected she took it all in stride and is doing very well. Our daughter Lexie has taken over Luna for this experience and the two of them have been very successful. 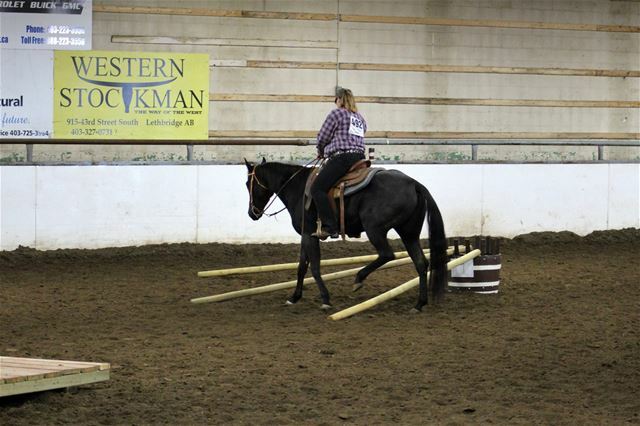 To prove her versatility of this young mare this was the first time Lexie had ever ridden Luna. In August 2016 Shannon and Luna had a great show series hosted by MAGEC and won a buckle as Junior Horse Champion. 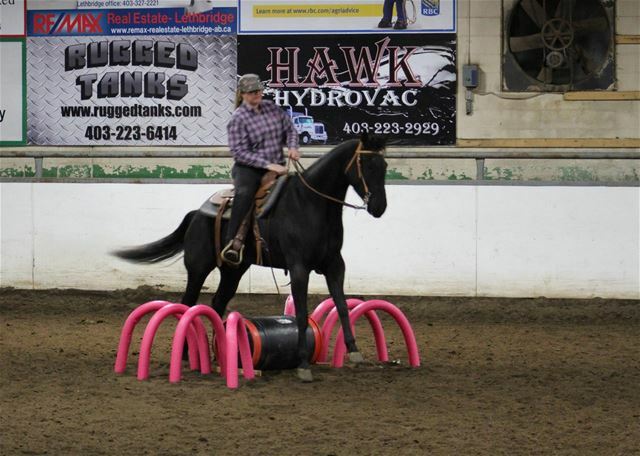 We love this mare and she has been a fabulous addition for all of us. '97 Red Dun -Earnings over $147,000.00. - Congress Open Reining Futurity Champion. - 3rd, NRHA Open Futurity. 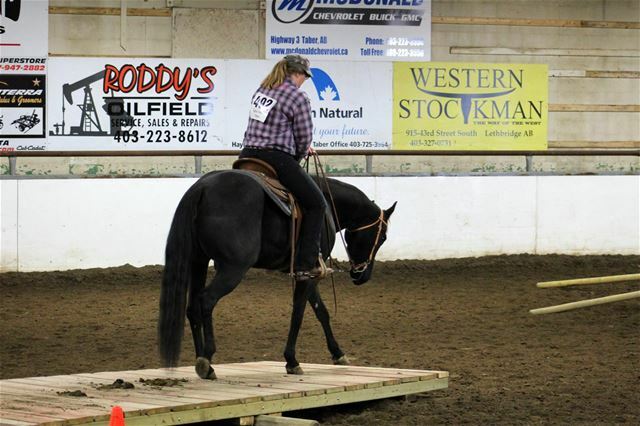 - Top 10, NRHA Open Derby Twice. - 6th, NRBC Open Derby. 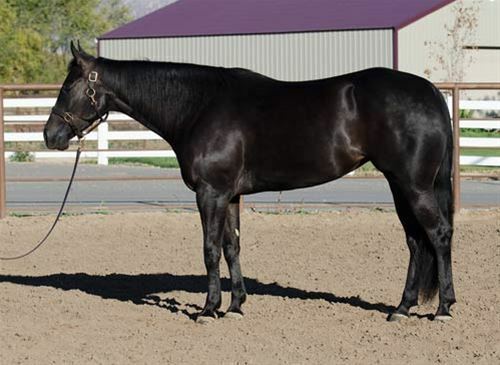 -2011 NRHA Top 25 Leading Sire. '88 CH - Offspring LTE- $161,000.00. - An NRHA Top 15 All-Time Leading Producer. - Earner of $1242.00. - 3rd, Novice Horse Open at the Atlantic Breeders Main Event. 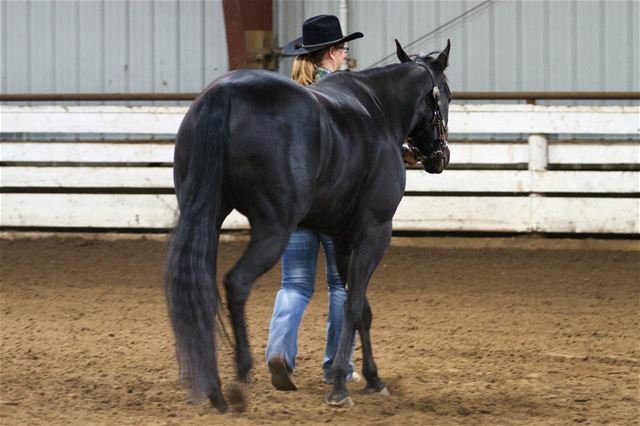 -AQHA point earner. -Producer of Money Earners. '85 Dunskin - NRHA Earnings $24,051.00. -NRHA All Time Leading Sire. - NRHA offspring. '87 CH -Offspring NRHA earnings $3014.00. 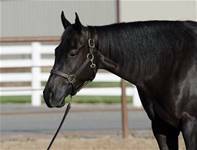 - Offspring AQHA Points 635. '90 CH - NRHA earnings - $116,577. - 1993 NRHA Open Futurity Champion. - NRHA $4 Million Sire. -Offspring earnings over $4,000,000.00. - Inductee into NRHA Hall of Fame. - NRHA Open Futurity Champion. '80 Sorrel -Earnings over $12,000.00 -3rd NRHA Open Super Stakes. - NRHA All-Time Leading sire. '82 CH -earner of $6054.00 - Finalist, NRHA Open Futurity. -Split 4th Open Super Stakes. - Producer of Money Earners. 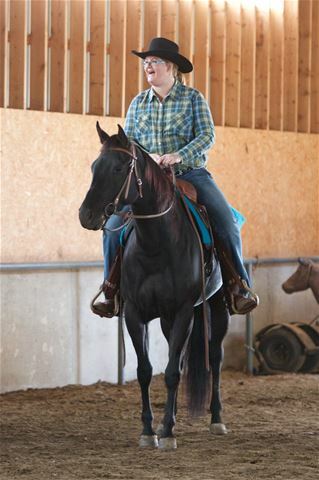 '96 Earner of $1691 and 2 AQHA points. - Super Slide In Non-Pro Champion and split 4th in the Novice Non-pro horse. - Okanagan Summer Slide Non-Pro Reserve Champion;4th, -Big Sky Classic/Derby Novice Non-Pro Horse and split 3rd in the Ladies. NWRA Summer Slide Non-Pro Reserve Champion and Ltd Open Champion. - Producer of money earners. 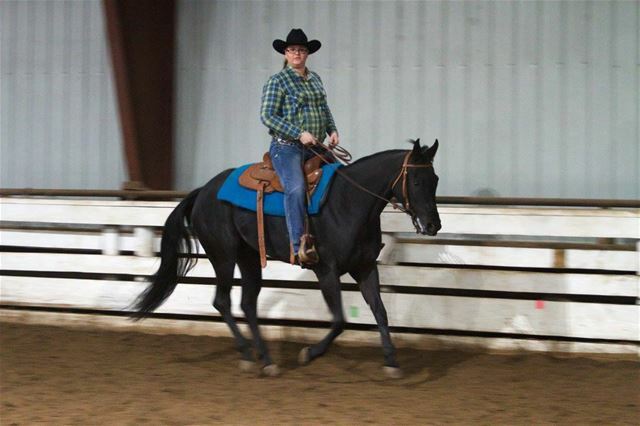 '85 Sorrel - 65.0 AQHA Performance Points. - LTE - $167,471.00. - NRHA Hall of Fame. - World Champion Senior Reining and Cutting Horse. - NRHA Three Million Dollar Sire. 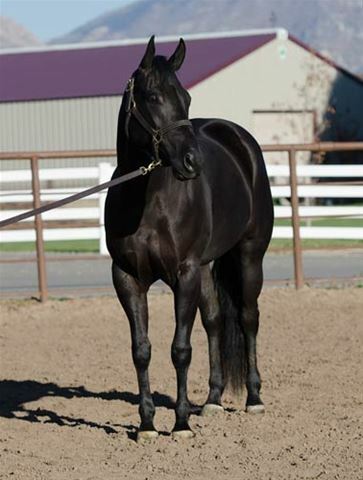 - NRHA #4 Leading Sire and #3 All-Time Leading Sire. - NRCHA #1 Leading Sire. - AQHA - #2 Leading Sire of ROM. - Siring Earners of more than $8,600,000.00.